In an interesting article on Medscape.com, “Have We Missed the Hidden Cause of Medical Overuse,” the author raises a provocative issue about medical overuse. He cites the story of when a mother kisses the scrape of a toddler, "No healing takes place, yet both parties appreciate the ritual." Continuing, he states, "The ritual shows how we might be programmed to both seek and offer healthcare even when it isn't medically useful.” He believes this is "Conspicuous Caring". The provocative conclusion is that healthcare isn't just about health; it's also a grand signaling exercise called conspicuous caring. If healthcare was only a transaction about getting well, you would expect patients to pay for (and doctors to prescribe) only treatments in which benefits exceed costs. Conspicuous caring provides an alternative explanation for demand that leads to consumption that exceeds the point of value. And in modern medicine, demand resulting from conspicuous caring can be masked by the real healing that often occurs. The thesis of the article is when providers appeared to be doing something that will be perceived as helping the patient, this conspicuous caring provides the public with a tangible signal of medical quality. 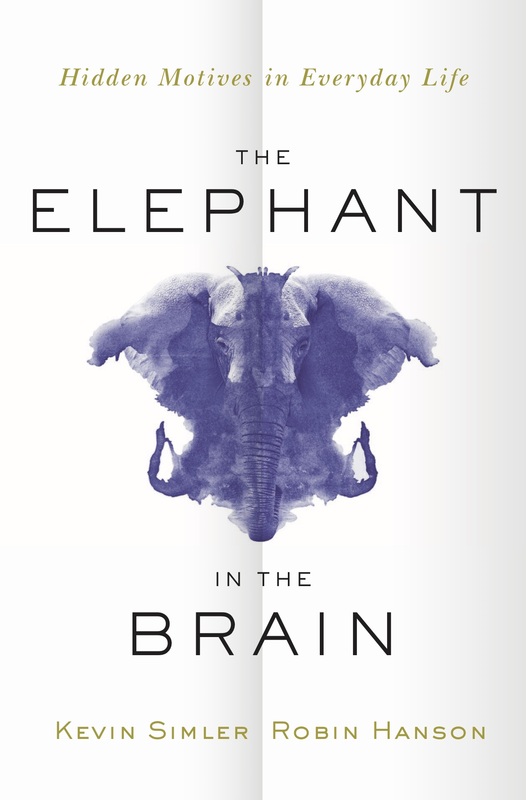 The article’s primary focus is the evaluation of a book The Elephant in the Brain: Hidden Motives in Everyday Life by Kevin Simler and Robin Hanson and how our thought processes impact on healthcare delivery. The question that arises from this discussion of Conspicuous Caring is - If this is written into our DNA, how do we make it a constructive force in healthcare delivery? When doctors prescribe tests, procedures and prescriptions to simply satisfy our need to perceive them as caring, the articles author argues this is what leads to medical overuse and the high cost of care in the United States. On the other hand, it may well indicate that our providers are losing the ability to communicate with us in a meaningful way that expresses a caring professional. I spoke to a retired healthcare professional recently who indicated he had seen his cardiologist and he felt the doctor had focused totally on the data available on his computer and never had an empathetic interaction with him as a patient. This lack of conspicuous caring motivated this knowledgeable retired healthcare professional in his 80s to seek out a second opinion. What this real life interaction teaches us is there is much more to the healing process then the technology driven data points that are available to professionals. Today, the need to exhibit empathy, concern and understanding is very important to the recipient of care. In another instance I watched the interaction between a hospitalist and patient. The hospitalist never took his eyes off of the computer as if it were the one requiring treatment. If we define Conspicuous Caring as our professionals providing empathy, compassion, and concern, we might achieve the ultimate by reducing the cost of healthcare and creating real patient satisfaction. The patients in our healthcare system are beginning to feel like a commodity in a highly mechanized, technology driven system. Their primary care physician no longer makes rounds at the hospital to check on their progress; the patients are visited by the hospitalist who is employed to accelerate the patients’ discharges from the facility and are strangers to the patients. It is no wonder, in this process, why people seeking out healthcare feel estranged. The physicians, in their defense, are under increasing pressure to see more patients and have reduced amounts of time to really engage in the process of caring. As a result, they turn to Conspicuous Caring through the writing of prescriptions for lab tests and diagnostic tests to give their patients the appearance of being engaged in their care. There have been studies made that indicate as physician’s face increasingly fatigues as the day goes on, the physician is more inclined to order additional diagnostics because the coping and decision-making processes for them have broken down. The driving force for the creation of Curus was an increased understanding that the discerning healthcare consumer needs the expertise, sensitivity and a caring voice to help navigate through the healthcare process. The idea that we receive more attention and empathy from our wealth managers than from our healthcare providers became a compelling reason to create Curus to be that advisor, and empathetic voice - providing both direction and comfort for our members. Our tagline, "Because health is the greatest wealth there is," reflects our commitment to protect your most invaluable asset, your well-being. We need to place caring as one of the highest priorities in the delivery of healthcare. If we achieve this we will substantially reduce Conspicuous Caring. Technology & Heart Health: Is being connected killing you? We are in the concluding days of the month of February, designated as Heart Health Month. Our knowledgeable cardiologists have told us to be more active; to maintain a healthy weight; to eat a healthy diet; to manage our high blood pressure; to manage our high cholesterol. We've also been told to manage our stress. In an article in Everyday Health author Mikel Theobold tells us, "Stress causes strain on the heart which creates a higher risk of cardiovascular disease.” Jeffrey Fisher, M.D., a cardiologist and clinical professor of medicine at the Weill Cornell Medical College and attending physician at New York – Presbyterian Hospital, recommends exercise for people experiencing mild to moderate stress. Fisher states when people start to exercise and feel the endorphins, they start to feel better both physically and mentally. Exercise has also been shown to reduce the risk of death after a heart attack. The article goes on to state, "In addition to exercise, a spiritual practice or meditation can help you keep stress in check. A study presented at an American Heart Association conference found that people with heart disease who meditated had nearly 50% less rates of stroke, heart attack and death compared to those who didn't meditate." One of the key stressors today is that we live in a profoundly connected world that expects us to be available 24/7/365. The pace of our communications moves at warp speed. The pressure to make immediate decisions about weighty matters has been geometrically increased by the spontaneity of the communications process. In the past there was time for thought, evaluation and then reaction. Today, it appears to be just the opposite; we react, then we evaluate, and then we rethink. We need to continue to evaluate the impact this phenomenon is having on our heart health. We see highly-skilled physicians in the prime of their careers walking away because of the stresses. They are but one example of a category of professionals for whom the constant accessibility and availability creates significant mental pressures that take their toll on our physical well-being. We tell our colleagues and our employees we want them to take vacations so that they can have quality time for themselves and their families. Yet, we fully expect them to continue to be "connected" through all of the devices we have provided them. We are very proud of the fact that work has become a mobile experience. We can provide our skills and talents almost anywhere that Wi-Fi is available. The detriment is that Wi-Fi is almost universally available which increases our accessibility. This translates into availability and results in deterioration of our health as we are always available. The fact is we have what could be described as an addiction to check our emails and texts on our smart phones without hesitation. If we are not constantly checking we experience the withdrawal syndrome as with any other addiction. This constant pressure to be available weighs on us mentally and physically. It denies us both peace of mind and quiet time to recharge, reevaluate and review. I have watched people in prayer yet pulling out their smart phones to check messages. I've watched businesspeople out for a day of relaxation on the golf course delaying a shot so they can run over to their golf carts as they left their phone's ringer on. The reality is if we want to significantly improve our heart health we need to establish a life balance that insulates us from the constant pressures associated with always being present. We need to tune out those "missed business opportunities" by creating time and space for quality-of-life experiences that are not part of our business life or the world of social media. There is "extraordinary freedom through discipline." When you first think about it, you would define freedom as the lack of constraints; yet the reality is, it is the reverse. If you decide for your heart health that you are not going to be always available, you have taken the first step of declaring your freedom and peace of mind by determining you are not going to be always attached to your electronic communications devices. As Heart Health Month comes to a close you can renew your commitment to a healthy heart through all of the recommended ideas of exercise, a healthy diet and weight control. We should further add freeing ourselves from the stresses of our accessibility through technology to our heart health regimen.